I. First, the right fruit needs to be selected. 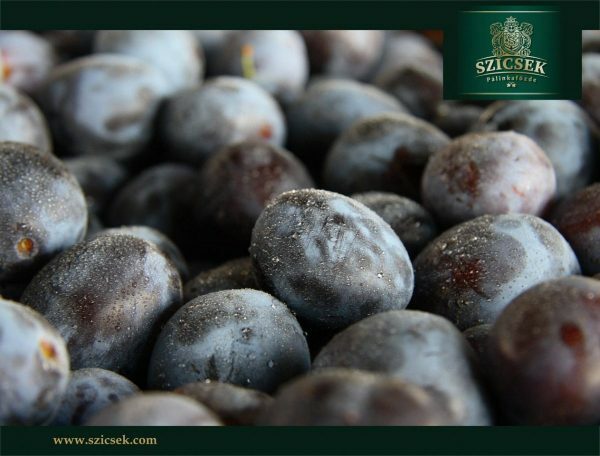 Only properly ripe fruit which is rich in aromas can produce good Hungarian Palinka. Once the fruit is selected, it needs to be prepared. 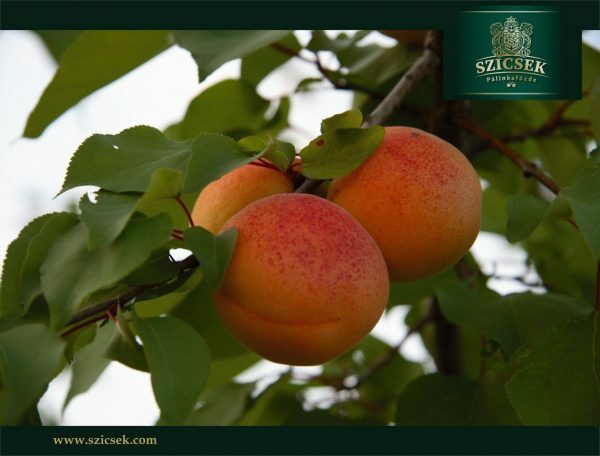 Seed is removed from the stone fruits (e.g plum , apricot) in order prevent the cyanide contained in these seeds from ending up in the distillate. II. 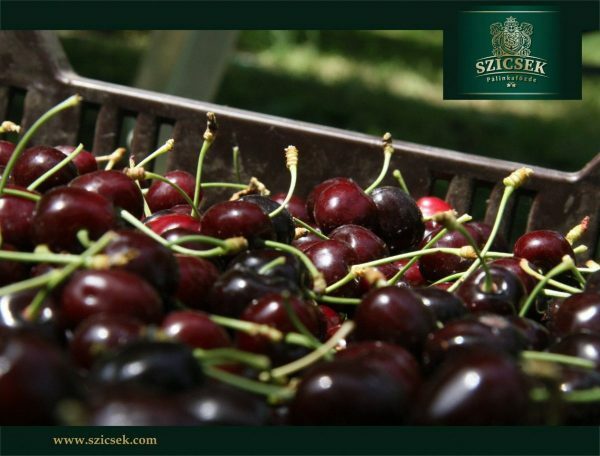 After processing the fruit, fermentation can start, strictly without the additional of sugar. 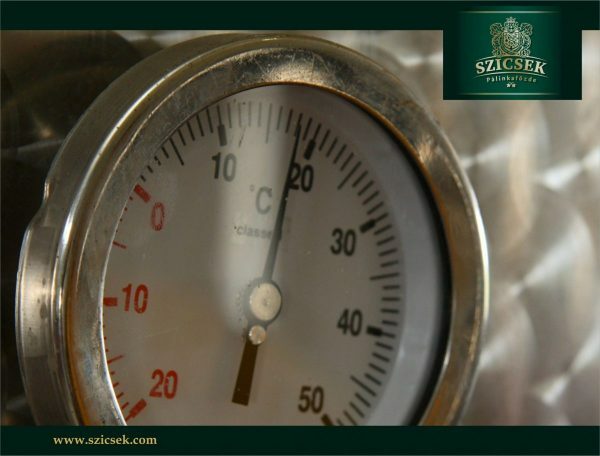 The temperature of the fermentation process is important as well. If all the circumstances are appropriate, fermentation takes place within 10-15 days. When this is over secondary fermentation will convert the remaining sugar into alcohol. 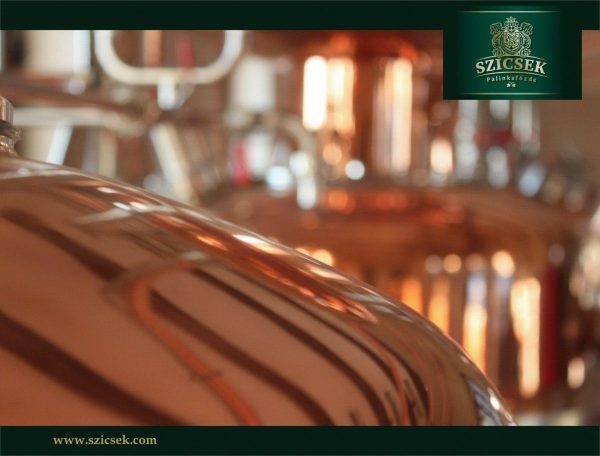 The condition and quality of the mash before distillation determines the quality of the final product in 90%. III. Distillation is the process where the essence of the fruit aromas and the alcohol is getting retrieved from the fruit, whilst we get a high alcohol level. The master distillers never forgot to add that you cannot produce good Palinka from bad fruit. 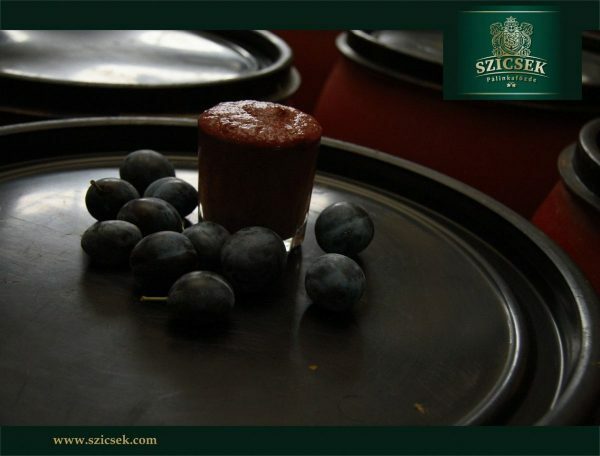 Even from appropriate quality fruit, you can only make good quality Palinka with great care. Distillation is a complicated separation and concentration process, where the mash is getting distilled, whilst the alcohol-water mixture and the aromas are getting distilled and concentrated. The fareshats have a high alcohol percentage of up to 90V/V. As the mash is heated, the mixture farmed contains more and more water and less and less alcohol. The middle cut has a 70-86 degree alcohol level and we temper it with distilled water in order to set the right level of alcohol for the final product. This is why sometimes you can read on bottle labels that the pálinka contains distilled (soft) water as well. IV. 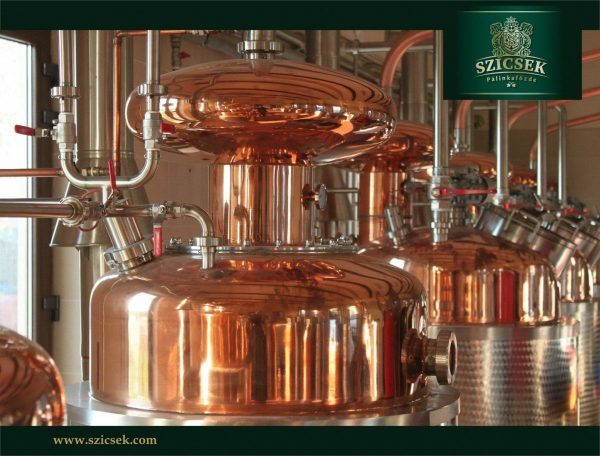 The alcohol content doesn’t have to be set immediately after distillation. It can also be done later, during the ageing process. 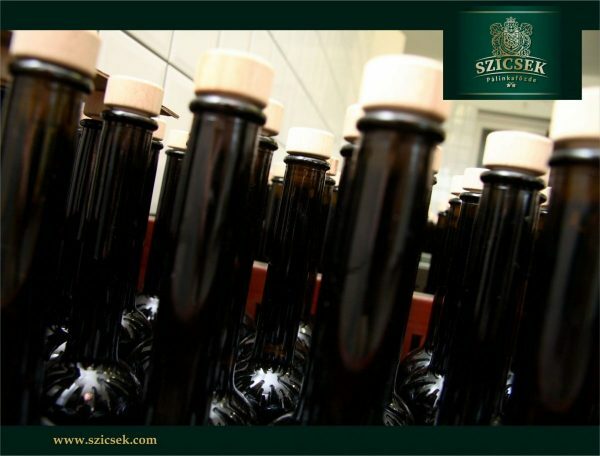 Sometimes a high alcohol content pálinka is getting aged – mainly in wooden barrels – as alcohol can release other materials from the wood than water. Pálinka can be aged on a fruit bedding – this is the production method for ’ágyas pálinka’. 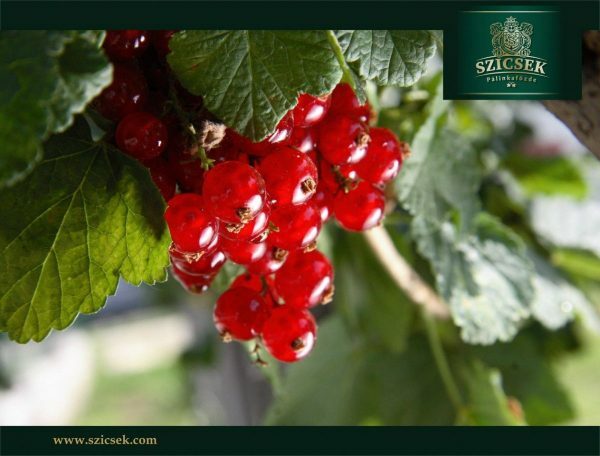 Here the bedding must be of the same fruit as the pálinka. It is important, that pálinka releases additional fruit flavours and sugar from the fruit added, which won’t ferment anymore, it only makes the spirit sweeter and more rounded. 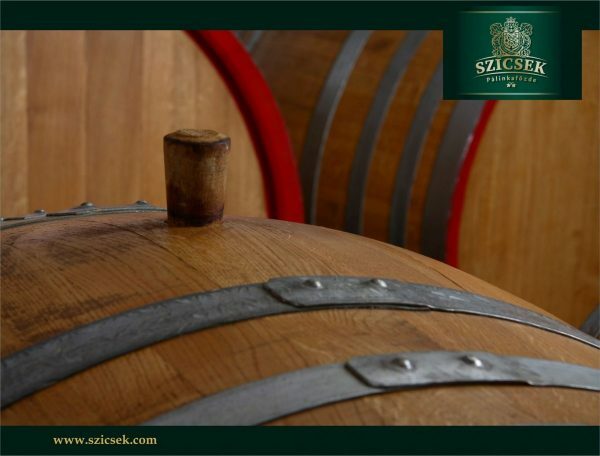 The wooden barrel is also adding extra flavour and colour to the pálinka during maturation that is breathing during the process thanks to the structure of wood. This oxidation softens and smoothens the pálinka, making it easier for us to drink. 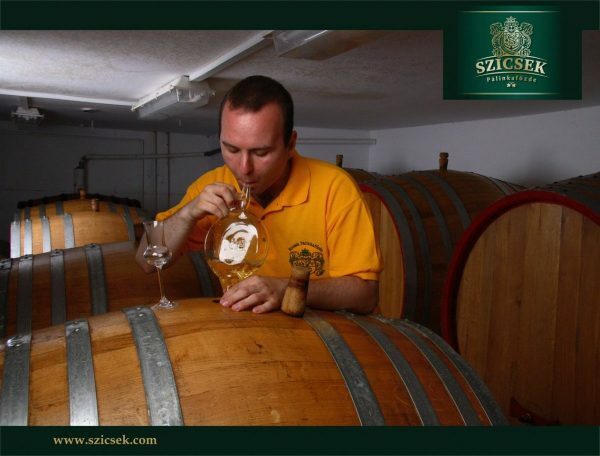 The specific and unique nature of pálinka is also shown by the fact that not every type should be going through an ageing process in wooden barrels, as opposed to whisky or brandy. Wood can cancel the fruitiness of the pálinka. 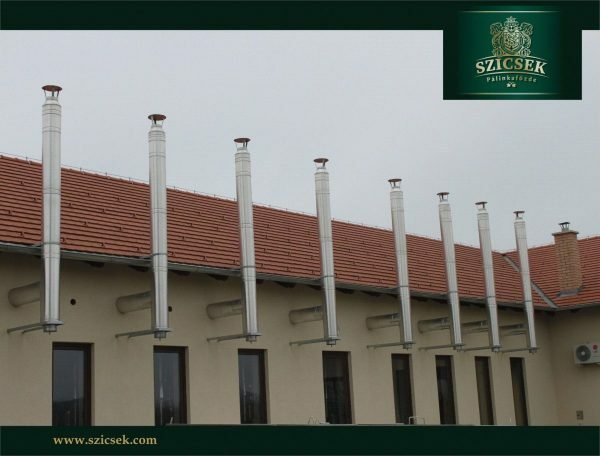 Pálinka matures very well in steel tanks. It should be stirred during maturation so it becomes more harmonious. After maturation, pálinka is getting bottled.